It was a wet morning getting out of San Juan, and after an hour or so, the clouds cleared off. We had both slept well and were energized for the day. There was a strenuous climb west of Atapuerca, but from there the rest of the day was a gentle walk through the valley of the Rio Vena. 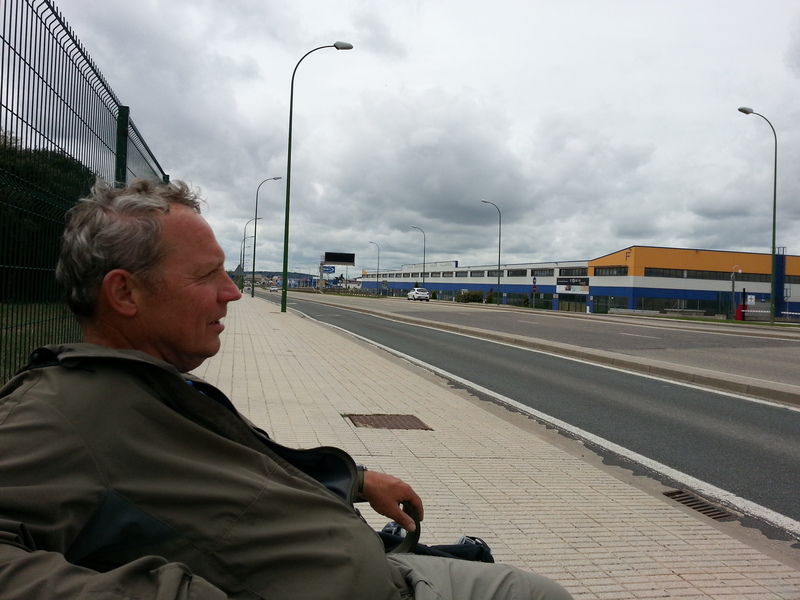 After Obaneja, Greg and I decided to take the shorter route into Burgos towards the north. This involved a long slog through an industrial area southwest of the airport. This seemingly endless walk along Calle Vitoria eventually brought us into the main part of the city near the Museo Militar. We should have headed north at that point and followed the Camino on Calle Las Calzades but instead, for some reason, we missed that turn and kept near the river until we reached Calle Garcia. Getting some directions from a passing resident, we tried to follow where she told us to go, and that just confused us further. 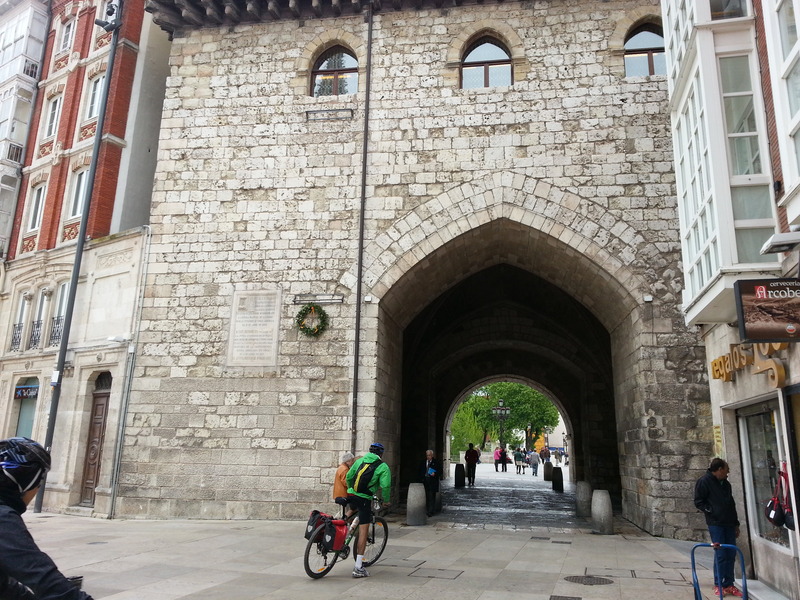 Eventually we found our way to Plaza San Lesmes and from there to Arco San Juan. A block or so later we arrived at Hotel Cordon where we would stay for a couple of nights. We were greeted by a very friendly staff that made us welcome. 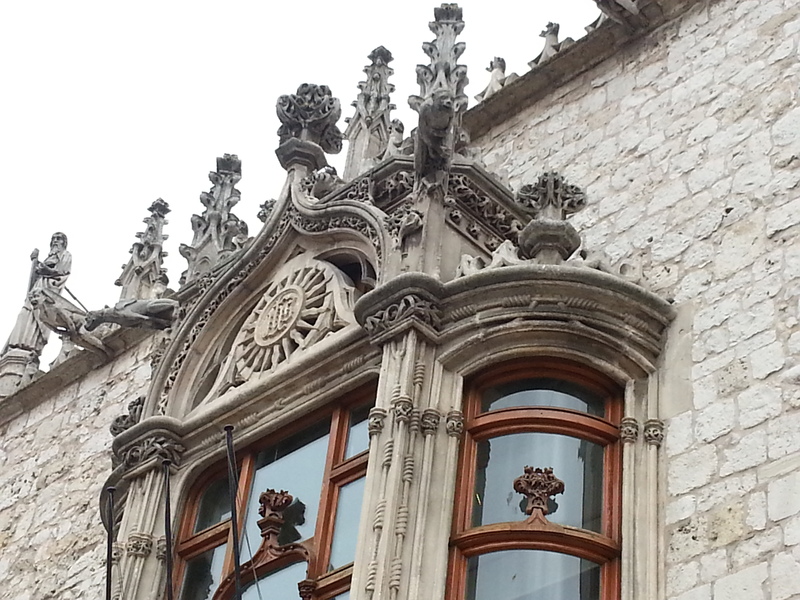 The Hotel Cordon on Calle de la Puebla was a pleasant “three-star” just one-half block from the Plaza de la Libertad and the Casa Cordon. 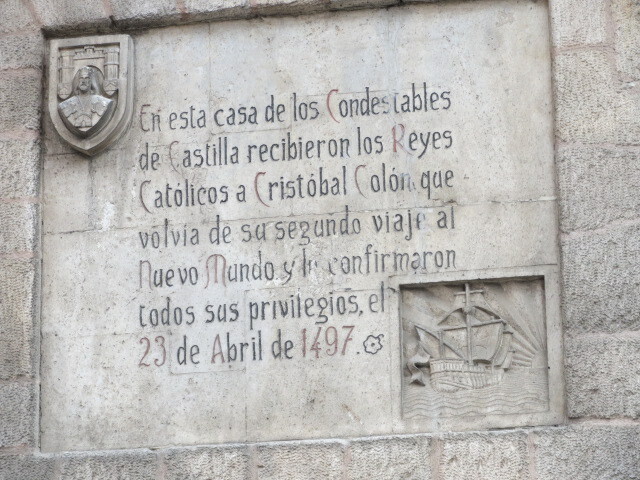 It was here in this plaza, 516 years ago, that Queen Isabella welcomed Christopher Columbus back from his discovery of the New Land. The hotel had no in-house restaurant, save for the small dining area towards the back of the lobby that was used for breakfast, but the evening desk clerk spoke excellent English, and he directed us to a vicinity nearby the hotel where we would be able to find great places to eat. We found the bustling area on a couple of narrow streets near Plaza Mayor and settled on Restaurante Pancho on San Lorenzo. This proved to be an excellent choice, and the Rioja wine we had with the meal was truly outstanding. Tomorrow would be a day of rest and touring the city. 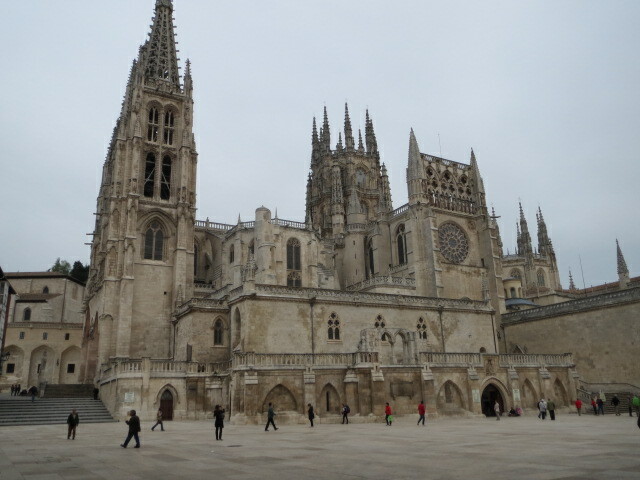 I’m really enjoying reading your blog – brings back so many good memories of my own camino! So glad you are enjoying this Eva. Keep reading. It gets better and better. Haha.